Tension Type Headache is one of the primary headache types, most people with tension type headaches do not seek medical attention unless the headache becomes more frequent as in chronic tension type headache. The main primary headache syndromes include migraine, tension-type headache and trigeminal autonomic cephalgias. This class of headaches includes subtypes like cluster headache. It is one of the most painful conditions known to mankind. Indeed, this headache type was once referred to as “suicide headache”. As in any chronic condition, it is important to actively participate in healthy lifestyle modifications that can decrease headache burden. This is especially true of the primary headache types (which we will delve into on upcoming posts). Lifestyle is more than nutrition and hydration, so it is important to focus on physical and mental health as well. Our brains like structure, but also need to be stimulated from an intellectual and social perspective. Make a schedule and stick to it. Eat regular meals with brightly colored fruits and vegetables, stay hydrated and limit caffeine intake after 2 pm. Wake up and go to bed around the same time each day. Include at least 20 minutes of physical activity per day. Start with low impact activities like walking or yoga, and work up to that goal. Include volunteer activities at least once per week. Try to do something mentally stimulating (not frustrating), like playing along with Jeopardy, crossword puzzles or Sudoku at least one hour per day. Include volunteer activities and interaction with others (outside your immediate family) at least once per week. Migraineurs are not alone in their thoughts and pain, and even their interdependence on loved ones. We can use this to fuel the fire in our fight against headache. February is Headache on the Hill. Headache is a term used to describe any discomfort above the shoulders, so it typically includes the head and face. It is a symptom, and not a diagnosis. Headache is the broader umbrella term under which primary and secondary headaches fall. These subcategories can then be further divided. My New Year resolution for IHC is to increase awareness for headache and facial pain. I will take the next several blog posts to go over basic headache information and some lifestyle strategies that can help. In general, terms used to describe primary headache syndromes are often misunderstood and misused. The main primary headache syndromes include migraine, tension-type headache and trigeminal autonomic cephalgias. Among the TACs is the most painful headache condition known to mankind, cluster headache. What many of us do not realize is that the gut-brain connection is quite strong. In migraine, one of the first symptoms is nausea (with or without vomiting) often caused secondary to gastroparesis. Gastro = gut, paresis = stop. Making a plan to focus on nutrition can help to improve headache burden. 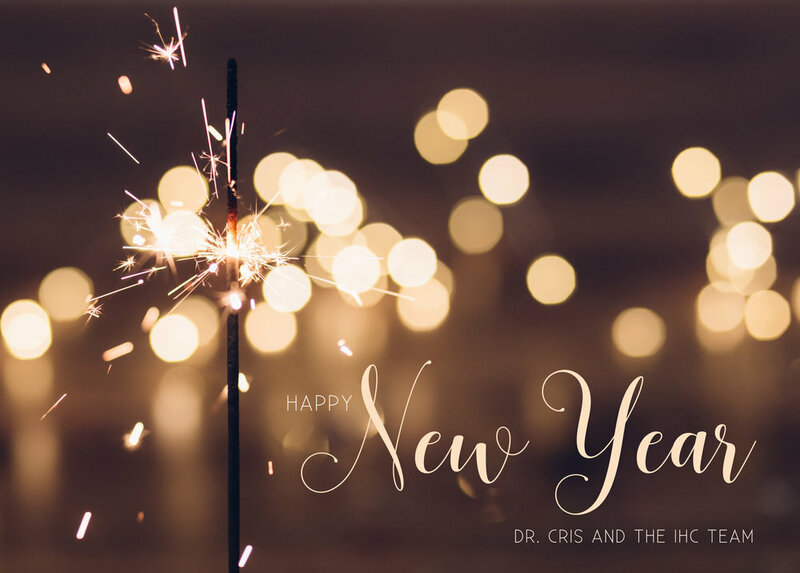 International Headache Center will be closed on Monday, December 31st and Tuesday, January 1st in celebration of the New Year’s holiday. Regular Office hours will resume on Wednesday, January 2nd. International Headache Center will be closed on Monday, December 24th and Tuesday, December 25th in observance of Christmas. Regular office hours will resume on Wednesday December 26th. Fielding patient messages and the benefits of direct care. Studies show that headache patients require more communications outside the clinic. After spending the Thanksgiving holiday in reflection, I wanted to re-share my purpose behind this blog and get some feedback from you! International Headache Center will be closed from Monday, November 19th through Friday, November 23rd in observance of Thanksgiving. Regular office hours will resume on Monday, November 26th. Who better to field a headache question from my patient than me? If someone has a question about the next step with their treatment, and I am available in real-time, then yes, reach out and I will do my best to help! Wouldn’t it be great if the headache physician could oversee the nutrition and exercise plans, make sure they are suitable for the patient’s disorder? Yes, and we can do that by incorporating the programs into the center. Any clinic takes time to build, but without the “referrals and incentives” from insurance companies wanting to get a physician in-network, building a patient base who truly understands the model would take longer. How do doctors advertise their clinic? And a clinic with a variation in structure at that?! I have been enchanted by the headache and facial pain population since my first encounter in medical school. Caring for this charming group of people requires time to listen and tango. We worked on a clinic model and found a physical location. Now, what should we call this thing? Now that we had the starting of a team, it was time to brainstorm on clinic model. Instead of writing about my perspective on the response I got when approaching someone in the non-profit world about becoming a director of operations for a non-existent clinic without any previous examples... I thought it might be best to hear it straight from the horse's mouth.